Pant plays for the Capitals in the IPL. 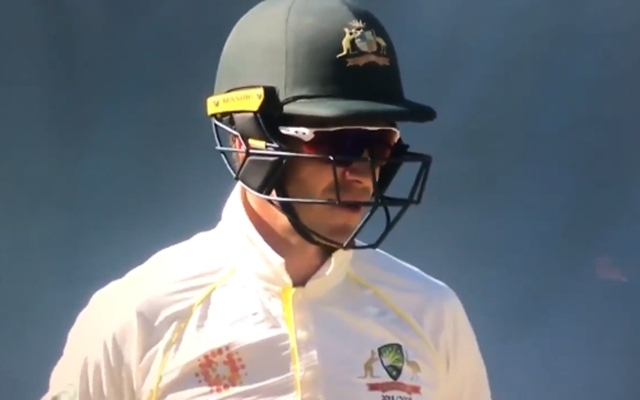 Tim Paine, the Australian captain, has hogged the limelight in the ongoing Test series against India. In the second Test at the new Perth Stadium, he got himself tangled in a few controversies as he had some heated altercations with the opposition captain Virat Kohli. Even in the current Test match at the iconic Melbourne Cricket Ground (MCG), he has had some banters on the pitch. During India’s first innings, he was well and truly into Rohit Sharma’s ears and said that he would support Mumbai Indians (MI) if Rohit managed to hit the ball over the ropes. The conversation was caught in the stump microphones. Before the start of play on the third day, Rohit replied, mentioning that he would talk to the franchise if Paine managed to score a century. However, Paine couldn’t get even a half-century in both the innings. The wicketkeeper-batsman was dismissed by Jasprit Bumrah after scoring 22 runs from 85 balls in the first innings. In the match’s second innings while the hosts were chasing a mammoth score of 399, Paine could only manage 26 runs from 67 deliveries before being dismissed by left-arm spinner Ravindra Jadeja. In the meantime, the 31-year-old from Hobart, Tasmania tried to ruffle Rishabh Pant’s feathers. During India’s second innings when Pant came to bat, he kept saying something or the other from behind the stumps. Pant is an animated character on the cricket pitch and he decided to give it back to Paine when the latter came to bat in the fourth innings of the Test match.